Read the full U.S. Soccer National "A" License course description. Read the full U.S. Soccer National "B" License course description. Coaches who have obtained a National "D" license may take the National "C" License course. Targeted primarily to coaches of the U11-U14 age groups, a primary emphasis in the National "C" License course is the close relationship between technique and tactics. Coaches will be challenged to find ways to offer constructive guidance to players while also allowing players to experience the game for themselves. The National "C" License course also provides a foundation for any coach wishing to pursue higher levels within U.S. Soccer’s Coaching Education Program. Read the full U.S. Soccer National "C" License course description. 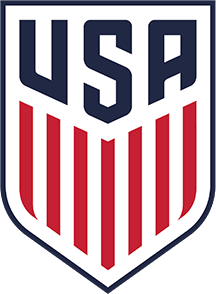 Candidates are required to complete three (3) assigned training sessions and three (3) self-reflections on the U.S. Soccer Session Planner over a minimum of 10 weeks. It is expected that the sessions be evenly distributed through the 10 week period. Candidates have two (2) full years following the completion of the deliberate practice phase to attend any performance review phase to complete the “D” course. *The candidate must wait a minimum of 10 weeks between the first and second weekends. Read the full U.S. Soccer National "D" License course description.